From managing employees and dealing with normal business operations to overseeing critical activities; businesses face plenty of challenges on a day-to-day basis. REAL Solutions believes that worrying about your technology shouldn’t be among them. IT problems can happen suddenly out of the blue and even the most stable and up to date IT infrastructure can develop technical glitches which need to be addressed. In the case that an unanticipated issue occurs, your organization needs fast and reliable support. That’s why we offer end-to-end On-site and Remote IT Support services and can be available to provide assistance whenever you need us. Our team of experienced engineers will resolve any issues that arise in a timely and professional manner. We will make sure that your business continues to run at the highest possible level of efficiency. Let REAL Solutions maintain your computers, wireless, servers, network, and infrastructure; allowing you to focus all of your energy on running your business. On-site help when remote support isn’t enough. If an issue cannot be resolved remotely, we will promptly dispatch one of our engineers. For clients in North Jersey, there are no additional fees or travel expenses for on-site visits. When hardware fails we’ll schedule an on-site visit ASAP. In the event of an emergency IT related hardware issue that needs to be addressed on-site, we will schedule to be on-site ASAP. Our on-site support system allows consistency across all our engineers giving the best client experience. The comprehensiveness of these systems allows for the success of each appointment. On-site appointments are organized into a ten point checklist that has evolved over many years. The goal of the checklist is to make sure that the entire appointment runs smoothly and the client is kept up-to-date of the progress during and after completion. This process also insures that the experience is the same even if the on-site engineer is different from the last appointment. The engineer reviews a ten point appointment prep list to make sure all bases are covered. In addition to the prep list the engineer reviews previous history of current or related issues from the helpdesk ticketing system. All on-site and helpdesk tickets have detailed information about each call or visit. This information accompanies invoices and is easily searched in our indexed database. Getting support is extremely simple! Step 3: Receive on-site service within 2 hours! It is amazing how many small and mid-sized businesses do not have a solid plan for preventing “issues” from happening on their computer networks. Some of these “issues” (server/desktop crashes, firewall hanging, router/switch malfunctions) can take down an entire network for many hours. Hopefully, these major issues don’t happen frequently, and most business owners do not think that they will happen to them at all. They categorize these rare instances as downtime, but downtime has another hidden component that is possibly even more costly than when the server crashes. A business with 10 employees could lose over $12,000 due to downtime. ** Total payroll of $495,000 per year. This breaks down to nearly $238 per hour. When the server goes down for a couple of hours and none of the employees can access network resources, this costs $476 plus the cost of the computer guys scrambling to fix the issue. If the business is down for an entire day, the cost is over $1,904 plus more. If there is even one of these short outages each month, the business loses another $7,616 at minimum over the course of a year plus all of the added fees. Our goal is to make IT an investment not an expense! Rather than losing that money due to having all this downtime, REAL has the Solutions to allow the business to remain stable and have an uptime of 99.95%. An "act of God", local or city wide Internet or electrical outages, or even a fire is out of our control. Some of the reasons why you may call for On-Site Support. IT Consulting: Training staff on new software or procedures. PC Repair: Computer not turning on or making weird noises? Virus Removal: Computer infected or Ransomware notices would warrant an on-site visit. Setup New Equipment: Adding an IP phone, Wireless Access point, and security cameras into the environment. Printer Repair: Printer printing lines, making noises, or doesn't turn on. Network Down: Power outage, Backup Battery failed, and Server crashing would be an emergency situation to be visited ASAP. We charge based on two types of scenerios. The first is based on our Support Packages which are explained on the menu bar above. This is the Pro-Active Option. This can basically be a limited or unlimited amount of hours at a monthly steady rate. There are many more perks for using this option such as alert monitoring and automated resolutions, discounted/free spam filtering, off-site backup, reduced project rates, and much more! Our second option is simply an hourly rate option. This is the Reactive Option. Whenever you need us on-site, we will charge a simple hourly rate. Weekends will have a more premium rate. Remote Support is always the first step! Remote Support is available 7 days a week. We make it possible for our engineers to take care of any IT support issues as soon as they are discovered. It could be through our monitoring system alerts or by a client calling us. If for any reason you need help, reach out and report the issue. A REAL technician will reach out to address your problem remotely. If unable to resolve remotely, we will immediately schedule an on-site visit. Slow Computer: Reports of computer running slow. We will remote in and run the tools needed to speed the system up. Remote Work: Some tweaks are required after hours. We will do that remotely. Simple Fixes: Sometimes issues that seem severe are quite simple. Why wait for a technician to arrive when it can be resolved in minutes. Patching: Windows updates and patches can be done remotely to save time for both parties. Faster and Cheaper Response Time: Beyond just the costs associated with On-Site Support, don't forget the physical travel time. This can be slow and time-consuming on it's own, but don't forget the time a technician is sitting on-site watching antivirus scans, Windows updates and patches, and install progress bars. Our remote support technicians can work on other tasks during this type of downtime which you will not be charged for! No longer will you have to deal with crippling downtime because you are waiting for on-site support, nor will you have to pay for the technician's downtime while he is there waiting for the task to complete. 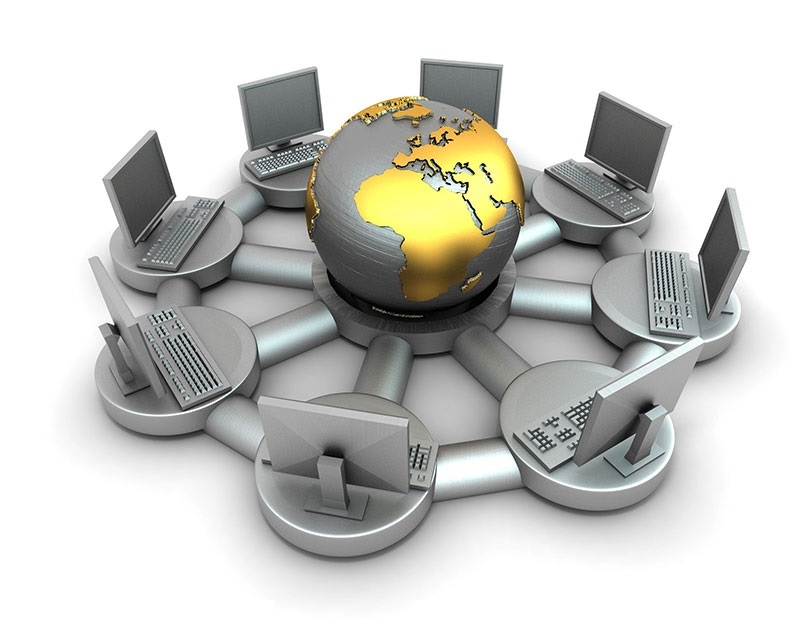 Remote support will always be at a reduced rate compared to On-site Support. The first is based on our Support Packages which are explained on the menu bar above. This is the Pro-Active Option. This is normally an unlimited amount of remote support at a monthly steady rate. There are many more perks for using this option such as alert monitoring and automated resolutions, discounted/free spam filtering, off-site backup, reduced project rates, and much more! Our second option is simply an hourly incremental rate option. This is the Reactive Option. Whenever you need us remotely, we will charge a simple rate based on fifteen minute increments. Weekends will have a more premium rate.